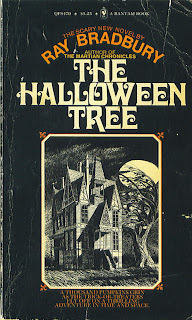 Ghost Upon the Floor: Ray Bradbury's "The Halloween Tree"
Each start of October for the last few years, I've felt a desire to reread what may very well be my favorite novel of Ray Bradbury's-- "The Halloween Tree." A writer of science-fiction, the paranormal and tales not so comfortably labeled (but always with an October bent), Bradbury's seemingly young adult novel follows the lives of several young friends on Halloween night. "It was a small town by a small river and a small lake in a small northern part of a Midwest state," begins Bradbury's novel, which is no small literary feat. Throughout the boys' night, they come to know and understand the origins of All Hallow's Eve, as they are taken on a fantastical tour through history of humanity's ability to deal with the harvest, the darkness, the coming death. The passages in the novel, as the boys literally travel the history of Halloween night and are confronted with their own mortality, are simply beautiful. 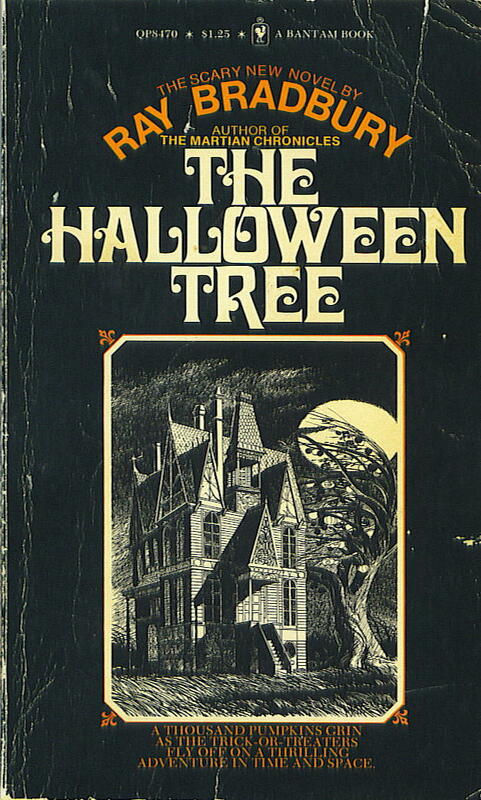 Rarely has Halloween been so perfectly captured, described, explored than in this book. And while the inevitable animated adaptation is not in so many ways the novel-- it is a very respectable job. Narrated by Leonard Nemoy and with a script by Bradbury himself, the adaptation, rarely shown and hard to find on VHS even on the internet, does the work proud. I think I'll go find my copy, and crack the spine. I just picked this up the other day and am really enjoying it so far, I hadn't heard of it until recently! Mal: That is great to hear! I loved the novel when I was younger, but my more recent readings have made me fond of it even more deeply. There is so much in there about childhood, growing up and growing old-- and how Halloween plays into and around all those things. Let me know what you think! I watch this EVERY year! Bingles: I have been watching this and trying to read (or read most of) the book every year-- few, if any, things say and explore All Hallow's Eve better than this story. I recently found out that Bradbury's publishers rejected an original draft of the novel for basically being too morbid, and that there was an edition published with the removed texts and other bells and whistles-- I was so excited to find this, until I went on Amazon and such, and found that the book, no longer in print, sells for roughly $200 and up. Yikes!